It’s time for a new blog post as two weeks has passed since we last spoke. In a dark and snow covered Sweden we’re hard at work with development and progress is for sure being made! We get a lot of questions regarding the games release date. Since it’s 2018 now, many of you are wondering when the oceans are yours to sail, and we understand your eagerness to play. You can trust that we want to get the game into your hands too. We can’t wait to see the amazing rafts you’ll cook up and what experiences you’ll have playing together with your friends in the new version. But as much as we would like to get the game out as soon as possible, we also want to make sure you’ll get a good game with as much fun and as little trouble as possible! We still have some check boxes to tick of before we can announce a release date, but we can assure you that we’re hard at work and headway is being made each and every day! So, what’s been going on since last time? 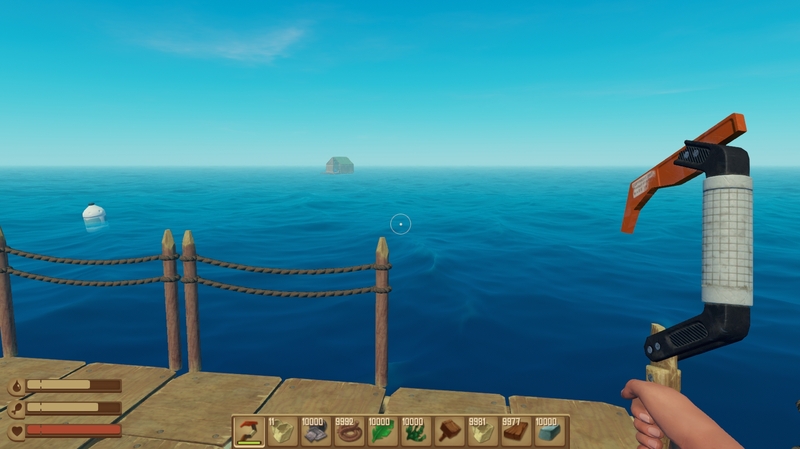 Surviving on the ocean isn’t always easy! Falling of your raft and losing it in heavy storms is always a possibility. This gets especially clear when you stumble upon empty rafts out on the ocean. The old rafts shows signs that people have previously lived on them, if only for a short period in time. While this tells the tale of a possibly tragic ending for it’s old owner, these old shacks usually contain something valuable for yourself to gather. You just have to make sure to reach it. In the last blog we talked about hunting down and fixing bugs. Like it or not, that’s a big part of game development. As features are added and the game gets more complex, bugs have a nasty tendency to pop up and ruin the experience. In an effort to shield you all from having to face these pesky little malfunctions, these past two weeks we’ve put in the time to locate and fix a bunch of them! In addition to this we’ve also done a bunch of in-house testing to adjust values and balance the game. All of this to create an enjoyable yet challenging experience! Due to this there’s not a whole lot of content to show you in the blog this time, which we hope you understand. That was all for this week! We hope you’ll have a great weekend and that you tune in next time! Good day from the Raft development quarters! Hello friends! Great blog! ; ) This is your old friend with facebook. I continue to translate your blog here. Constantly attracting the Russian-speaking audience. I would like a little of your attention and, if possible, gifts;) Thank you! Hey there, I‘ve been playing the demo (or whatever you wanna call it xD) for a while and i really love the game, I read the blogs and really like where this game is heading and can‘t wait to play it on steam once it releases 🙂 Please don‘t get stressed by people wanting to know when the game comes out or telling you how much it should cost. As I read your blogs I see that there is a lot of carefull thinking and love going into the game! So keep it up and i wish you great sucess! 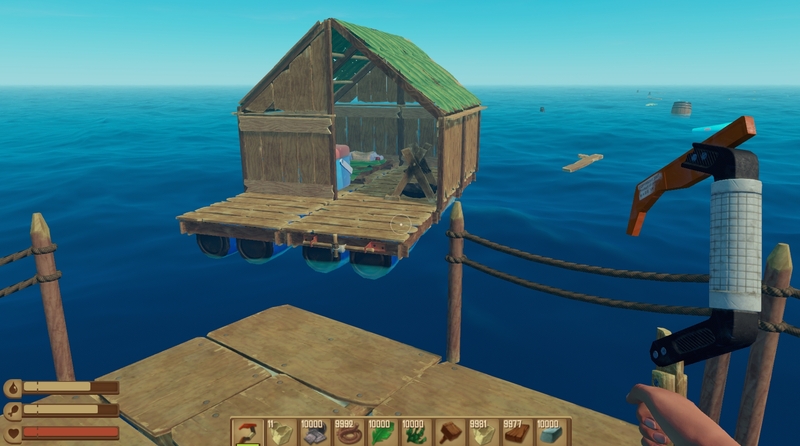 I’m sure one the game is out we will all find lots of bugs and report them to the raft devs. But i’m willing to pay alot for this game. I can’t wait for it to come out, just don’t be a half-baked survival games. Or don’t be edge of space. I want to see this start kinda small and grow a huge community over 4 years or something, like subnautica. You already got youtubers playing it once, So i’m sure when it’s realeased they’ll play it. Land-ho! A very good job! Very interesting and unique ideas. 😀 Good luck! Could we please get a Trello roadmap for the game’s development? I’m quite interested in what is to come, and – as mentioned earlier – eager to help with the translations to Czech Language. Great work guys in a relatively short time frame you must be hard at it, i know game development can be a long process which is lost on a lot of people, your regular blogs and updates show your dedication to the project, was there a kickstarter for the project or are you just going through Early access on steam all the best for 2018 and i look forward to streaming your product and playing it with friends on its release. I must play this!! when can I begin testing and help throw some ideas out for content additions?? Please add sun exposure, you would start to get hurt if you are in the sun without being under something for over 1-2 days. Hello! i’m going to upload your game to my channel, the game looks very amazing and i will tell to my friends about the game, the game is gonna be incredible. I’m from Latinoamerica and I will try to make the game known in the Spanish-speaking community. If I get good results I’ll let you know, I hope I can help you make the game known, thanks for reading my message, regards. Is it gonna be available for Mac users too? I can’t wait till this game comes out on Steam, played the beta a few months ago and it was awesome.